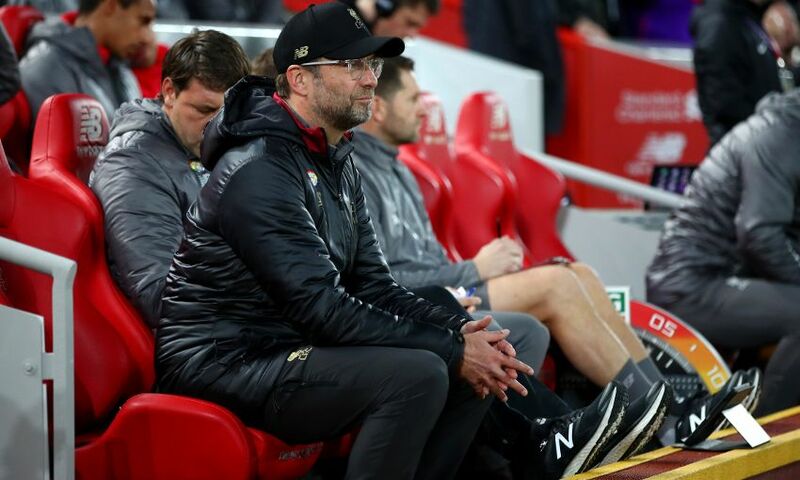 Jürgen Klopp has indicated Liverpool will need to shuffle their line-ups over the forthcoming weeks in order to contend with arguably the most intense period of the season – and feels Wednesday’s win at Burnley proves they have the players at their disposal to successfully navigate it. The Reds made seven changes at Turf Moor in a game that was their fourth of 11 fixtures in just 40 days. Indeed, in the next 27 days, Liverpool face the sizeable challenge of seven matches in both Premier League and Champions League, starting tomorrow against Bournemouth at the Vitality Stadium. Such a schedule dictates the need to utilise the depth of the squad – and Klopp believes the 3-1 victory over Burnley earlier this week demonstrated making such changes won’t deter Liverpool’s record-breaking start to the campaign. Asked about the significance of being able to make so many alterations to his line-up and still come away with the three points on Wednesday, Klopp told his pre-match press conference: “It’s unbelievably important. It was important that we really could make the changes because it was absolutely clear for us that it would be very intense at Turf Moor. We needed fresh legs and we had them for fighting in the game. That’s what happened there. “We were not brilliant from the first second, but you cannot expect that because we didn’t make 12 changes in the last few weeks. A few players didn’t play for a while and then it is easy to sit outside and say, ‘Yeah, now you know why you don’t play…’ We all know, all people in the business know, that it needs a bit of time and I told the boys that at half-time. I was not a bit surprised it was a bit rusty. “We have now the opportunity to do much better if we change a few little things. It was much better for all of the boys, so that helped massively. Then that you can bring on the players we brought on helps as well, so that’s how it is and now we will have to do it in the next few weeks as well because it’s not over – it’s only started. One area of the starting line-up subject to change at Burnley was midfield, where Klopp drafted in Naby Keita to join Jordan Henderson and James Milner in the centre three. The Guinea international produced an enterprising and energetic display, going agonisingly close to opening his goalscoring account for the club on a couple of occasions, striking the post and having an improvised effort cleared off the line. “There is no real challenge for position, we need all the boys,” Klopp said of his options in the centre of the park. “[Midfield] is the most intense part of the pitch, they have to cover the biggest distances and all that stuff. “We need these boys and we have only to make sure how they can play together, who can play and perform in which game. I am full of trust and faith in all of them. “Naby, after the Napoli game he was injured but before that he played a lot and then maybe two games not when we could change a little bit. Everything was new for him and then Napoli he got injured in the game and then needed again a bit of time to adapt. Of course, we knew how good he is but it’s all about bringing the boys in the right moment if you can do that. “If other players have played together, worked together for a long time then you use them because in these short periods for training you don’t have a lot of time to train, which means it makes it more difficult to adapt. Klopp confirmed during his pre-Bournemouth media briefing on Friday afternoon Liverpool would be without Dejan Lovren and Nathaniel Clyne for the trip to the south coast, with Joe Gomez also ruled out of his defensive options due to a lower leg fracture. With such a hectic run of fixtures on the horizon, the boss was quizzed on how he planned to manage the game time of Trent Alexander-Arnold at right-back in the coming weeks. There are similar considerations to be made at centre-back, where Gomez and Lovren will be absent at Bournemouth, leaving Joel Matip and Virgil van Dijk as the Reds' only recognised senior players in the position. In the case of Van Dijk, the Netherlands captain has started 20 of the 21 matches in all competitions so far in 2018-19. “It’s not the same intensity, but of course it’s not cool,” said Klopp of any potential need to rotate the No.4. “Now, especially with Joe out and Dejan not available, we don’t have to think too much about it.